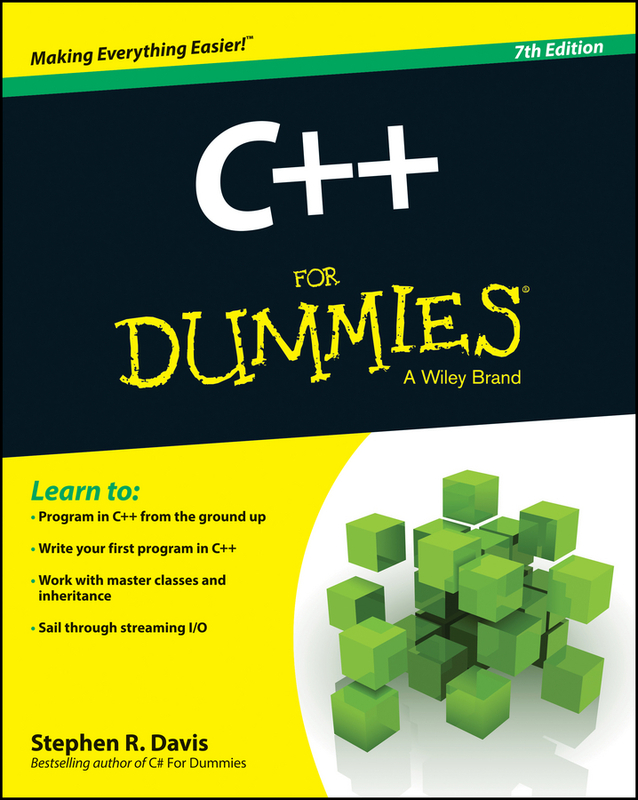 The best-selling C++ For Dummies book makes C++ easier! C++ For Dummies, 7th Edition is the best-selling C++ guide on the market, fully revised for the 2014 update. With over 60% new content, this updated guide reflects the new standards, and includes a new Big Data focus that highlights the use of C++ among popular Big Data software solutions. The book provides step-by-step instruction from the ground up, helping beginners become programmers and allowing intermediate programmers to sharpen their skills. The companion website provides all code mentioned in the text, an updated GNU_C++, the new C++ compiler, and other applications. By the end of the first chapter, you will have programmed your first C++ application! As one of the most commonly used programming languages, C++ is a must-have skill for programmers who wish to remain versatile and marketable. C++ For Dummies, 7th Edition provides clear, concise, expert instruction, which is organized for easy navigation and designed for hands-on learning. Whether you're new to programming, familiar with other languages, or just getting up to speed on the new libraries, features, and generics, this guide provides the information you need. Provides you with an introduction to C++ programming Helps you become a functional programmer Features information on classes, inheritance, and optional features Teaches you 10 ways to avoid adding bugs The book incorporates the newest C++ features into the fundamental instruction, allowing beginners to learn the update as they learn the language. Staying current on the latest developments is a crucial part of being a programmer, and C++ For Dummies, 7th Edition gets you started off on the right foot.